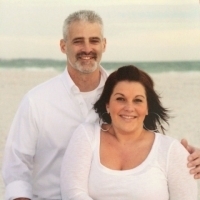 Bryan and Erin Oakley began serving at Crestview near the beginning of 2015. They bring a combined 20+ years of musical experience and have served together in music ministry since their marriage in 2004. Leading the Crestview musicians and vocalists, they pursue authentic praise and worship and strive to be ever sensitive to the leading of the Holy Spirit. To their friends, family, and five children they strive to be an example of the worshippers described in John 4:23. If you have questions about the music ministry at Crestview, you may contact Bryan or Erin at erinoakley28@yahoo.com. "But the time is coming and is already here when true worshipers will worship the Father in spirit and in truth. The Father is looking for anyone who will worship him that way."